. : About the journal :. Vysshee Obrazovanie v Rossii is a monthly scholarly refereed journal that provides a forum for disseminating information about advances in higher education among educational researchers, educators, administrators and policy-makers across Russia. The journal welcomes authors to submit articles and research/discussion papers on topics relevant to modernization of education and trends, challenges and opportunities in teaching and learning. Vysshee Obrazovanie v Rossii publishes articles, book reviews and conference reports on issues such as institutional development and management, innovative practices in university curricula, assessment and evaluation, as well as theory and philosophy of higher education. Mission and Scope. Vysshee Obrazovanie v Rossii aims to stimulate interdisciplinary, problem-oriented and critical approach to research, to facilitate the discussion on specific topics of interest to educational researchers including international audiences. The primary objective of the journal is supporting of the research space in the field of educational sciences taking into account two dimensions - geographical and epistemological, consolidation of the broad educational community. This can be provided by creating the unified language of understanding and description of the processes that take place in the contemporary higher education. This language should facilitate rallying of the whole community of educators and researchers on the basis of such values as solidarity, concord, cooperation, and co-creation. Our audience includes academics, faculty and administrators, teachers, researchers, practitioners, organizational developers, and policy designers. The journal's rubrics correspond to three research areas: philosophical sciences, sociological sciences, educational sciences. We design our activities relying on the professional associations in higher education sphere, such as the Russian Union of Rectors, Association of Technical Universities, Association of Classical Universities of Russia, International Society for Engineering Education (IGIP). Indexation. The papers in Vysshee Obrazovanie v Rossii are indexed by Russian Science Citation Index and Google Scholar. 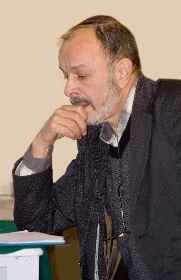 Editor-in-Chief - Sapunov Mikhail Borisovich.